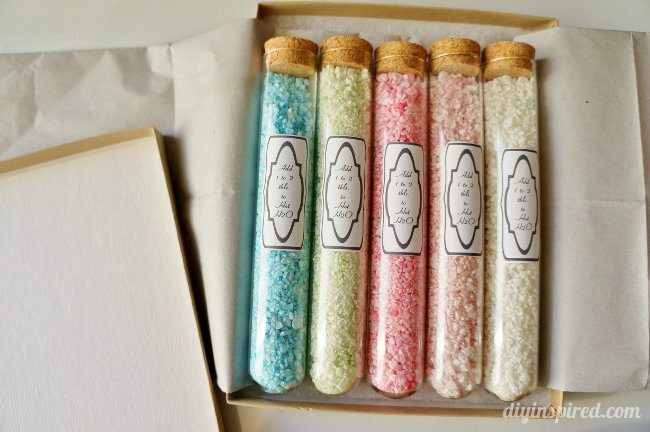 Did you know that there are awesome handmade items on Amazon? Yes! 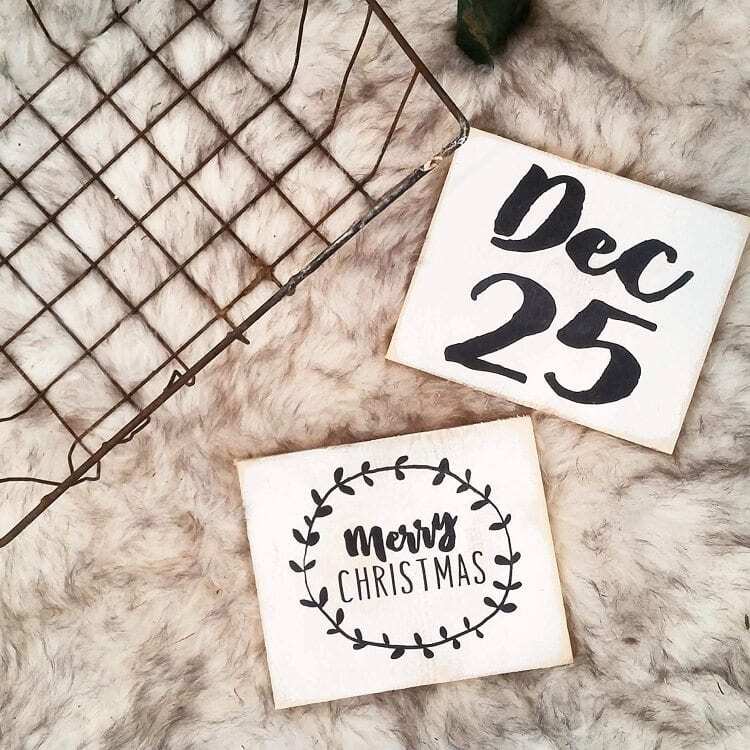 There are so many talented small business owners out there that I thought I’d share some of my favorite farmhouse holiday décor ideas. These are affiliate links, so if you purchase something, I will receive a commission that will go towards maintaining DIY Inspired, so thank you in advance! I hope you enjoy these designs! 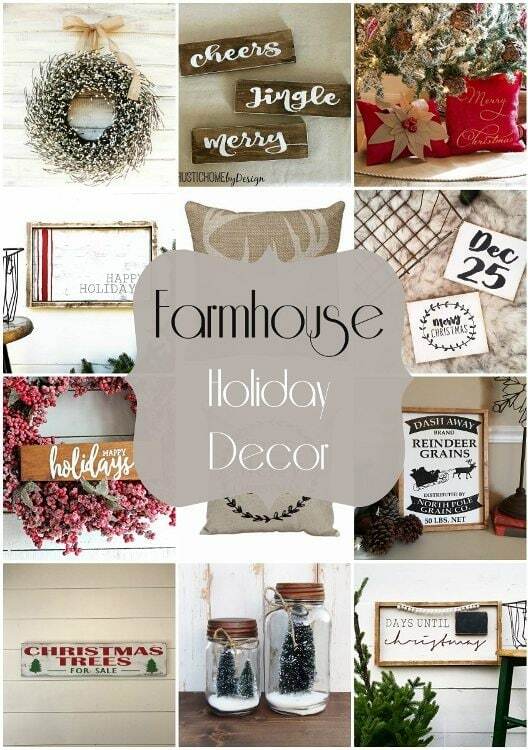 Farmhouse Happy Holidays Wall Art – OK, I need this one too (shown above)!! Love it. 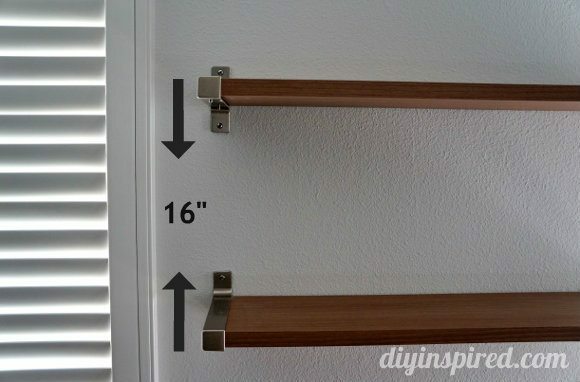 It’s so simple but makes a big statement! 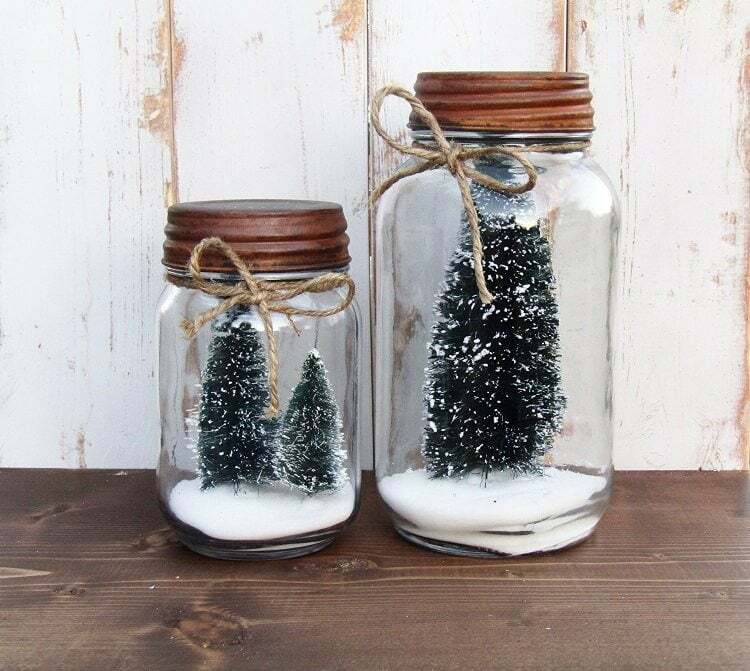 Snowy Pine Trees in a Jar – Perfect for those who like primitive rustic antique shabby chic holiday home décor. 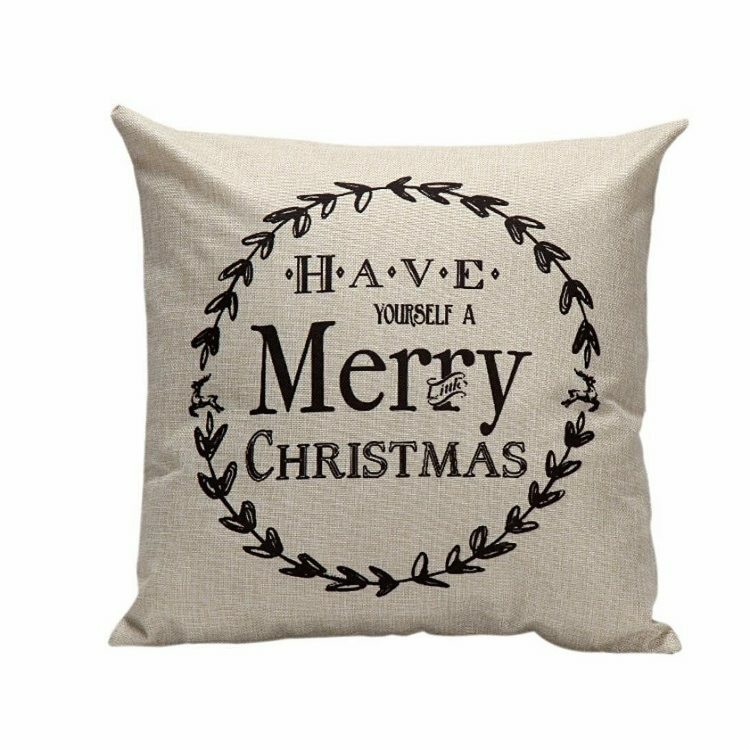 Christmas Cushion Cover – A cover is great to change up your pillows. 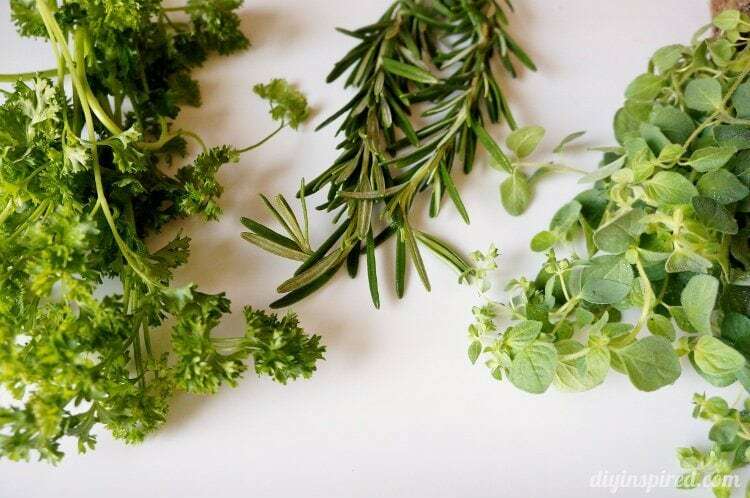 It’s easier to store as well after the holidays. 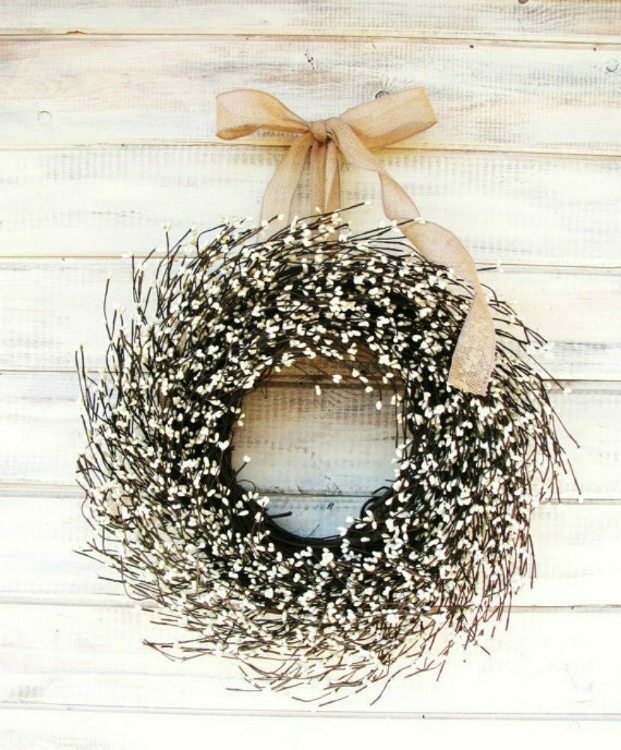 Farmhouse Christmas Wreath – You can choose from 20 different ribbon colors including burlap! 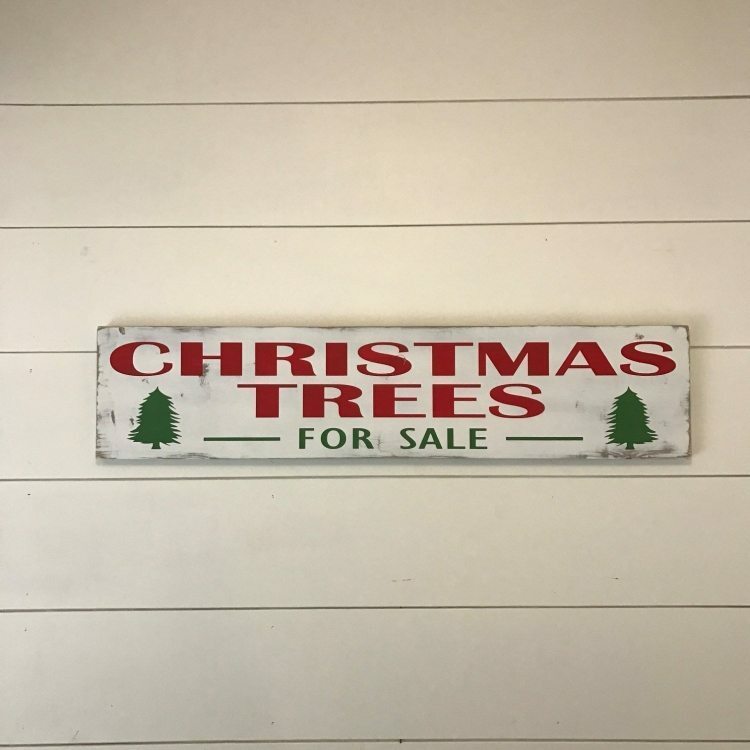 Christmas Tree Sign – Ok, I want one of these! It’s distressed, rustic, and perfect! 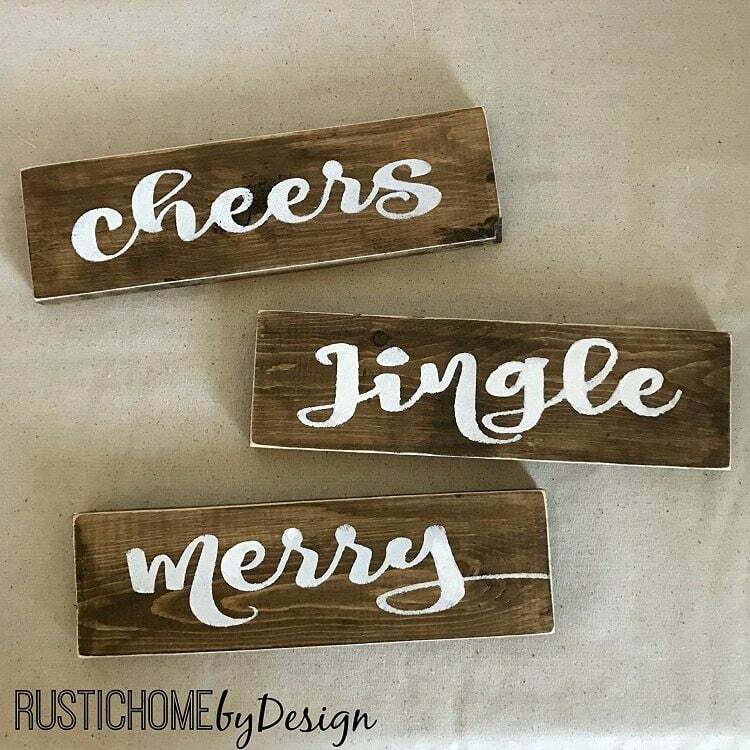 Rustic Holiday Blocks – Pick one or a set of three! You can also choose from 15 paint colors to match your décor. 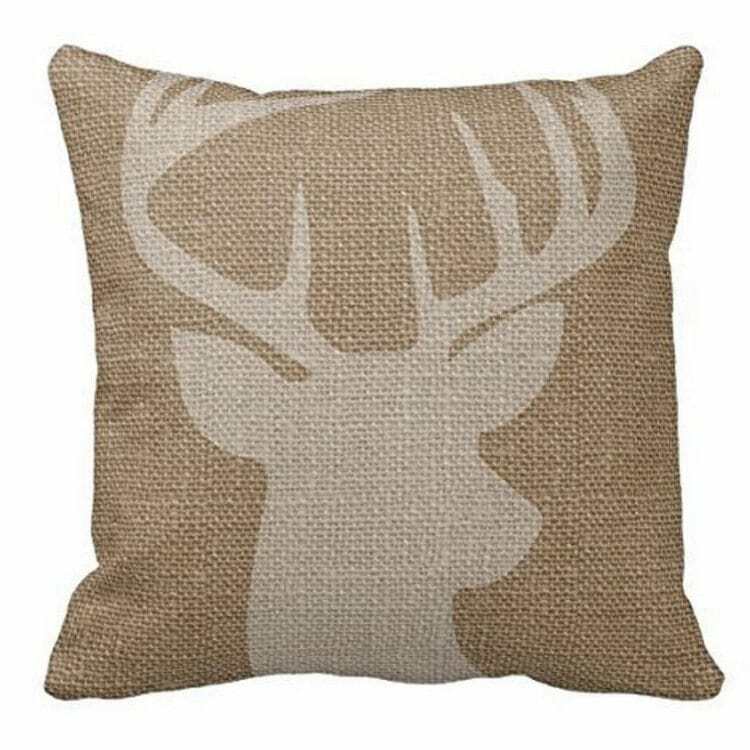 Deer Throw Pillow Case – I love deer! I just added a few to my holiday décor this year. This one is just adorable. I love that it’s a silhouette. 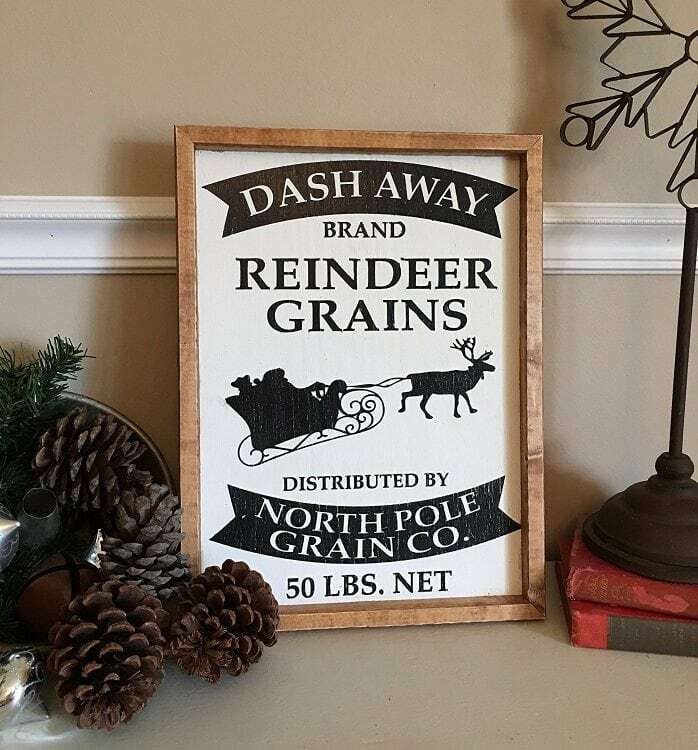 Whitewash Farmhouse Signs – Mini signs that would look so cute on a bookshelf or bedside table. 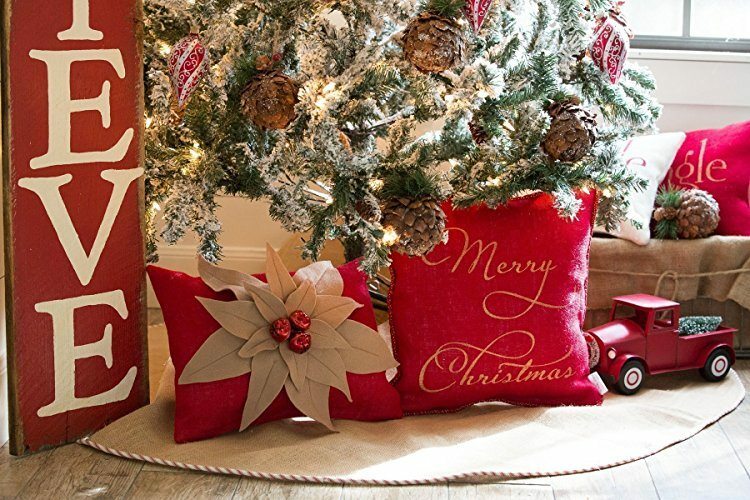 Burlap Christmas Tree Skirt with Red and White French Ticking – This just HAPPENS to match my décor perfectly…add it to the list! 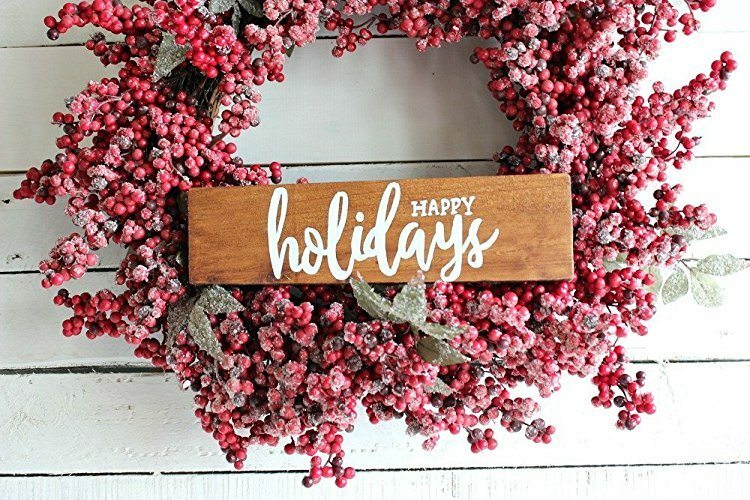 Rustic Happy Holidays Sign – I love this because it comes in three different types of wood to choose from, Nutmeg (shown), Antique Oak, or Antique White…all so pretty! 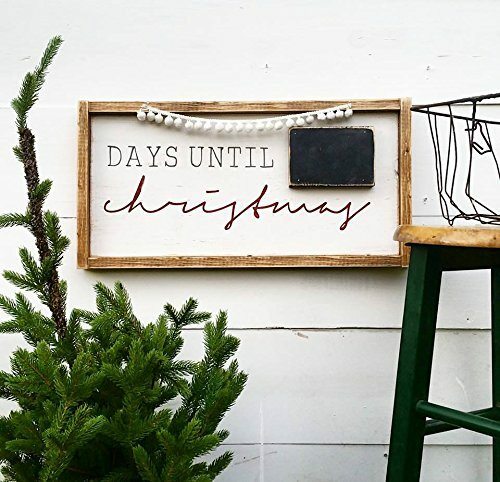 Christmas Countdown Sign – Convenient chalkboard to help countdown the days until Christmas!